17. All air flow systems adopt FESTO products from Germany. Founded in 2006, our company is a leading manufacturer and supplier of bottle unscrambler in China. 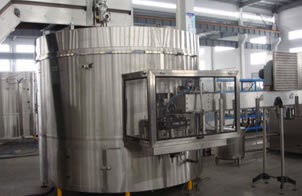 Here in Topling, we mainly offer bottled water filling line, juice filling production line, carbonated drink filling line and related equipments including rinsing filling capping machine, capping machine, air conveyor, and other related machines. We offer installing and debugging services of our devices and staff training for factories abroad and OEM service. For more guides of bottle unscrambler, please contact us.